Other targets Elseid Hysaj who would join from Napoli and Juventus’ Alex Sandro that has been linked with a move to Stamford Bridge for a while now. Another strongly rumoured played to join the Maurizio Sarri movement is Borussia Dortmund’s Christian Pulisic. Liverpool are keen on fighting it out with Chelsea, and they are even open to selling Fabinho to fund the move. 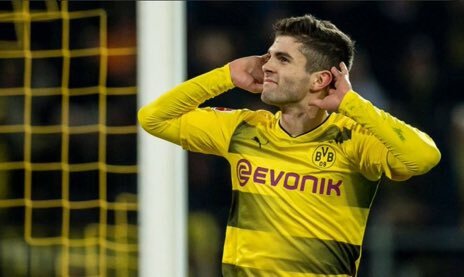 Chelsea are prepared to offer Pulisic a good deal to steal him especially as Hazard might exit the club in future. The bookies think that Hazard is going to be heading to the Bernabeu and Real Madrid come the summer of 2019 (after years of rumour), with odds of just over 3/1 on him staying in a Chelsea shirt, according to the most reliable UK’S betting websites. Chelsea are currently fighting along with the likes of Tottenham and Man Utd and Everton for a place in Europe in 2019/20. With the top two places almost certainly heading to Liverpool and Man City, the other Champions League spots are very much up for grabs. World soccer governing body FIFA recommended a four-window ban as a penalty for signing underage players. The same treatment was meted out to Atletico Madrid and Real Madrid for the same offences. FIFA’s Integrity and Compliance made the judgement after confirming Chelsea signed fourteen (14) youth players illegally. The investigations reportedly date back to when the rumours were rife that Chelsea acquired Bertrand Traore before he turned 18 back in 2014. Chelsea continues to insist that they did not break any FIFA rules, adding that they would not comment further on speculations concerning confidential matters. With Chelsea sitting in the top three in the Premier League table, this kind of news can have negative impact on their drive towards the title under Coach Maurizio Sarri’s first term in charge. The news means other clubs would raise the transfer fees knowing Chelsea have limited options. Their competitors in the transfer market can raise their rates just enough for Chelsea to back down. Manchester United for example are keen on Sandro and they have the war chest to land him from Serie A side. Liverpool would compete with them for the brilliant Pulisic but they can get Ake based on the situation.